Prime Minister Narendra Modi has vowed to reverse India's dependence on imports by building a local manufacturing industry. 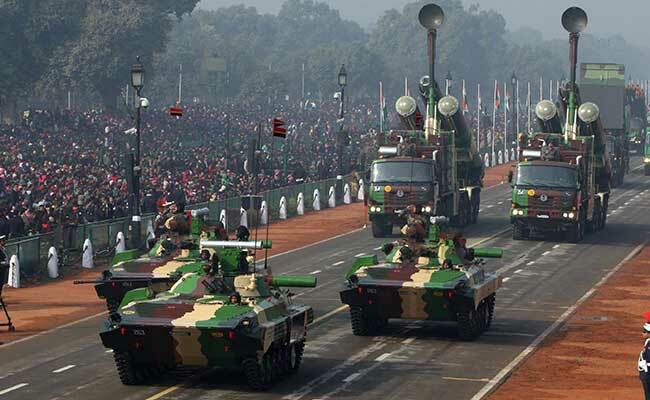 A long-delayed plan to industry officials on Thursday for selecting private arms manufacturers to help build an indigenous defence industry, a government document seen by Reuters showed. Local companies will be chosen as strategic partners that can combine with foreign firms to manufacture single-engine fighter aircraft, helicopters, submarines and armoured vehicles, according to the document. The yet-to-be-finalised "Strategic Partnership" model is expected to boost the role of private companies, grow the small defence industry, which is dominated by state-run companies, and end India's role as the world's largest arms importer. Officials from Tata Sons, Reliance Industries, Larsen and Toubro and Adani Enterprises among others attended a presentation made by Defence Minister Arun Jaitley on Thursday, a ministry official said. A range of financial and technical criteria will be used to pick companies for "design, development and manufacturing of strategic (defence) platforms for future," the document showed, without naming any company. The Ministry of Defence said in a statement that Mr Jaitley had met with industry representatives on Thursday to discuss the proposed model but did not go into specific details. Prime Minister Narendra Modi has vowed to reverse India's dependence on imports by building a local manufacturing industry. The government is forecast to spend $250 billion on modernisation of its armed forces over the next decade. Industry experts say delays in finalising procurement policies have undermined India's efforts to get local, largely inexperienced, companies to tie up with foreign manufacturers, a necessary step if domestic firms are to utilise the latest technology. Foreign manufacturers like Lockheed Martin, Boeing, BAE Systems and Saab are looking to India as one of the biggest sources of future growth. Saab and Lockheed are both pitching for an estimated 200 to 250 fighter jets. Ankur Gupta, Vice President, Aerospace and Defence at consultancy EY said the strategic partnership policy would "give the much-needed impetus to private companies and build their business case to make serious long-term investments in India." Among the basic requirements under the plan, Indian firms must have a consolidated turnover for each of the last three years of more than 40 billion rupees ($621 million) to qualify, the document said. Six Indian companies will be shortlisted, and will then choose among several foreign partners. Indian companies will be permitted to speak with multiple foreign firms to work out a tie-up, but can only offer to work together with one of them at the time of bidding. The helicopters, submarines, armoured fighter vehicles and fighter jet orders are expected to be multi-billion-dollar deals.